Richard Nixon's antisemitism did not prevent him from coming to Israel's aid in 1973 and resupplying it with the weapons that enabled it to win the war. In a recent article on The Top Four Reasons Why Rep. Ilhan Omar Is Wrong About AIPAC, Israel and the Palestinians, CAMERA notes that historically, US support for Israel was actually minimal before 1970 -- despite the combined alleged influence of the Jewish vote, Jewish political contributions, and the activities of the pro-Israel lobby. After all, just 3 years earlier, in 1967, Israel's main source of weapons was not the US; it was the British and the French. Yet after 1970, US support for Israel began to grow rapidly. The turning point was President Richard Nixon -- and Arafat. 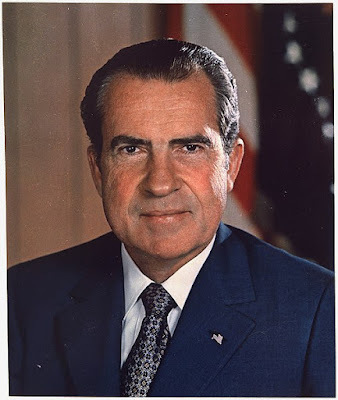 The US president in 1970 was Richard Nixon, a Republican who knew very well that overwhelmingly Democratic and left-leaning American Jews had already voted against him in large numbers and would do so again in 1972. What happened in 1970 that convinced Nixon, the arch practitioner of realpolitik, to press for increased support for Israel? Safian quotes the late Harvard professor, Nadav Safran, who in his book "Israel: The Embattled Ally," notes that the turning point in US/Israel relations was not any kind of Jewish influence. That influence was consistent and yet had failed to improve US-Israel relations. Instead, the turning point was the crisis of Black September, when Arafat's Palestine Liberation Organization, with the assistance of invading Syrian tanks, attempted to overthrow and assassinate Jordan’s King Hussein, who was an ally of the US. If successful, they would have posed a threat to western oil supplies. According to Safran, when the Syrian army captured Irbid, a city in northern Jordan which contained a junction of roads linking Jordan, Syria, Iraq and Israel -- King Hussein appealed for American and British help. The British refused and advised the US to do the same. Other European allies also advised against helping. Nixon had Kissinger work out a plan for a joint American-Israeli intervention. Kissinger and Israeli Ambassador Rabin put together a plan for a combined Israeli air strike and armored assault on the Syrian forces in conjunction with an American airborne descent on Amman airport. If necessary, Israeli armored columns would advance in a pincer movement from the Golan and the Jordan Valley and cut off the Syrian intervention forces and destroy them. 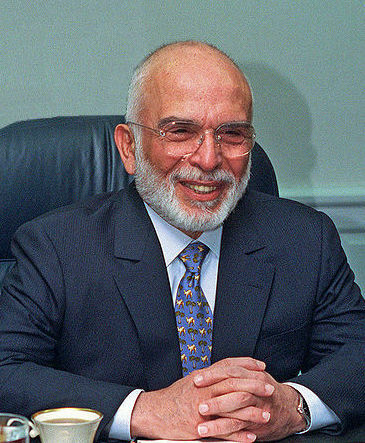 Because of the American and Israeli support, King Hussein was able to commit all his forces to fighting Arafat's forces. The Syrians, on the other hand, wary of that support, and of a flanking attack by columns of Israeli tank columns, withdrew -- saving Jordan, and making direct Israeli intervention unnecessary. Apart from its effect on Nixon’s personal attitude towards Israel, the Jordanian episode drove home to the President and some of his advisers a crucial point which they previously saw only in the abstract. The crisis and its denouement demonstrated to them in a concrete and dramatic fashion the value for the United States of a strong Israel. At a time when the regional balance among the Arab states, between the United States and the Soviet Union, as well as between Israel and the Arabs states was seen to be imperiled and when the entire American position in the Middle East appeared, as a result, to be jeopardy, the United States was able to retrieve the situation and turn it around only through the effective cooperation of a powerful Israel…. It wasn't AIPAC or Jewish influence that brought about this change in support for Israel. Instead, it was the threat, brought about by Arafat's PLO that led Nixon to appreciate the strategic importance of Israel. There is no doubt that AIPAC plays a key role in shaping the debate in Congress and in the details of legislation, military aid packages, etc., but none of these details would matter were it not for the strategic realities of the US-Israel alliance. The President will never forget Israel's role in preventing the deterioration in Jordan and in blocking the attempt to overturn the regime there. 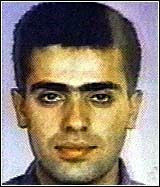 He said that the United States is fortunate in having an ally like Israel in the Middle East. These events will be taken into account in all future developments. Neff goes on to describe how Israel benefited. While US aid to Israel totaled $93.6 million in 1970, by 1971 it jumped to $634.3 million and then reached $2.6 billion in 1974 after the war in 1973. He concludes: "The Nixon-Kissinger years set a dramatic new benchmark for aid to Israel. Levels continued to climb until 1985 when they settled at $3 billion, where they remain today (1990)." None of this would have happened if Arafat had not tried to take over Jordan. He single-handedly created a destabilizing situation that allowed Nixon to see the strategic asset Israel represented in the Middle East. Nixon was developing the Nixon Doctrine, allowing the US to rely on military and economic aid and on allies instead of committing US troops. And Israel continues to serve as a key ally of the US to this day.